Orange County, California sits between Los Angeles and San Diego, California. Orange County is the sixth largest county in the United States and the third largest county in California. Home to cities like Anaheim and Irvine, businesses like Hyundai and Samsung, attractions like Disneyland and Knotts Berry Farm, and about three million people Orange County is a hub of Southern California life. The size of Orange County, California ensures that it generates a ton of trash, garbage, and junk daily. 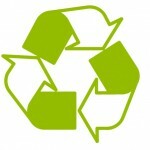 Green Clean Junk Removal Services in Orange County is here to keep Orange County clean and green. Green Clean junk removal services in Orange County offers a myriad of services for both individuals and businesses. For the businesses of Orange County, we offer junk removal, junk pick up, and junk hauling services. Green Clean junk removal services in Orange County offer office clean out services. If you are moving your business, expanding your business, or closing down a business location Green Clean junk removal can clean out your office space and remove the junk stored in supply closets and empty offices. Green Clean junk removal services can help your business dispose of old computers, computer monitors, printers, and copiers. Green Clean junk removal services in Orange County also supplies construction debris hauling, disposal, and removal services too. Green Clean junk removal services in Orange County supplies construction debris for contractors and do-it-yourselfers who need to dispose of construction debris. Green Clean junk removal services in Orange County also offers junk removal, junk hauling, and junk pick up services for individuals as well. Green Clean junk removal services in Orange County provide household junk removal to spruce up a home and get rid of stuff that you don’t want anymore. Green Clean junk removal comes to your home and hauls away what you want us to haul away. It is just that simple. Green Clean junk removal service also has a garage clean out and backyard clean out that haul away unwanted junk from your backyard and garage as well. For those in Orange County that need special assistance with a hoarder, Green Clean junk removal service provides hoarders clean out service. Green Clean junk removal uses specially trained experts to sort through a hoarder’s home or apartment, and remove trash, junk, and other hoarded debris. We provide this service to those suffering from a hoarding disorder as a way for a hoarder to regain control of his or her life. We also provide hoarder clean out service to families of hoarders, and to landlords that have had to recently evict a hoarding tenant and are now confronted with removing hoarded junk from a house or apartment. Green Clean Junk Removal Orange County!